Hem your knits professionally with the industry standard for stretch and wear: the coverstitch. 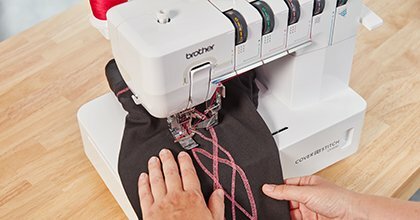 Join us and master essential techniques to confidently use a coverstitch machine. - How to chain stitch and why this is you new favourite straight stitch for garmets. If you have a Cover Stitch machine please bring it with its' thread. No Machine? No problem! Comes learn the techniques on one of our floor models. Should you decide to buy one we will refund your class fee.